The new East Stand was officially opened, but for a long time it looked as though Aberdeen would continue their rather infuriating habit of winning at Tannadice, before the Tangerines put in an explosive finish. Perhaps, we were just making sure that former occupants of the Shed were given the perfect view of the goals which turned the game, both of which were scored in front of the imposing new structure at the old Arklay Street end. Whatever the reason the vocal support coming from that end was a source of inspiration to the players who provided the perfect response, albeit in the last twenty minutes. 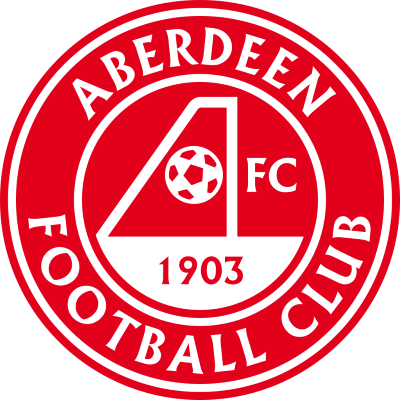 However, the outcome might have been all so different had Aberdeen gone ahead, as they really should have, in the very first minute. Former United midfielder Ray McKinnon, was the Dons first half inspiration and within seconds of the kick-off, he drove forward to pick out Eoin Jess on the right wing and his cross from the by-line found Duncan Shearer unmarked. However, the Dons normally reliable striker had timed his jump a fraction too early and his looping header dropped inches over the bar. It took a while for United to impose themselves in attack, but five minutes from the interval a corner was cleared to Gordan Petric and his curler swerved with such viciousness that it could easily have been an advert for Predator boots had he been wearing them! 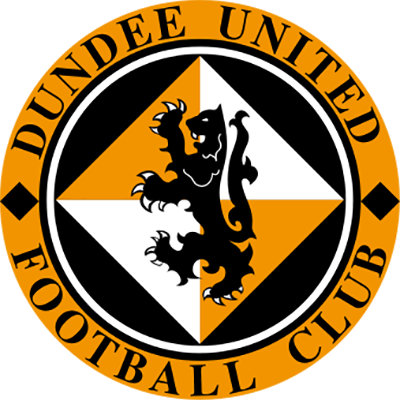 Within minutes of the start of the second half, United looked a much more serious attacking force and Andy McLaren found himself with time and space after the Dons defence failed to negotiate a high ball, but the Tannadice striker sliced the ball past the target from a good position. Just as United were asserting themselves as an attacking force, came a body-blow. Brian Grant drifted wide right, taking a pass from Kane and slung over an innocuous looking cross which deceived goalkeeper Alan Main and went in off the far post. It brought back visions of Kevin Gallacher's goal against Barcelona, but I am sure that Grant wouldn't have had the nerve to say that his was meant! The Tannadice response was to bring on Jerren Nixon for David Hannah and this proved to be a classic example of what they term, an inspired substitution. From the moment he came on the whole complexion of the match did an about turn. But United's luck appeared to be out as Dragutin Ristic crashed a shot against the inside of the post. Jerren however, had the Dons defence all at sea as won corner after corner, eventually the pressure paid off. Brian Welsh who had salvaged a replay in last season's Scottish Cup semi-final with Aberdeen repeated the feat with an almost identical far post header, this time from a Billy McKinlay corner from the left - a point not lost on Willie Miller in the post-match press conference. Not satisfied with a mere equaliser, United went for the jugular and the aerial bombardment brought further reward four minutes from time when an inch perfect cross from Jerren Nixon found Craig Brewster running in and he stooped to conquer the Dons when he directed a downward header from eight yards low past Snelders. It was Craig's first goal of the new campaign and United's first and most welcome points of the season. Whilst much has happened since we beat Rangers to win the Scottish Cup last May, I must make mention of the events on that special day at Hampden Park. I was more pleased for all the boys and the supporters than myself that we won the cup. It was just great to see so many smiling faces both at Hampden and in the City Square the following day. 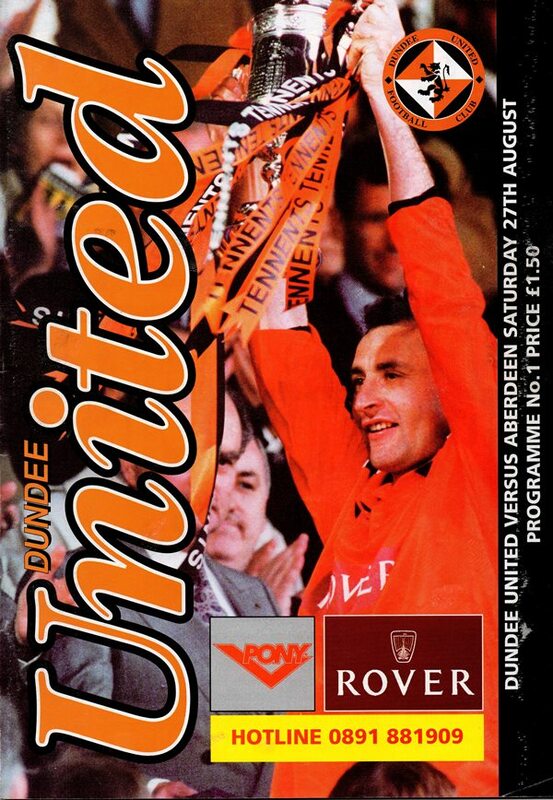 I am sure that bringing the Scottish Cup to Tannadice for the first time in the club's history is a great lift to everyone with affiliations for Dundee United. From that triumph, we must now look forward with a view to repeating the feat and if we show the same concentration and determination as we did in lifting the cup, I am sure we can reward your magnificent support again. I also know that we are capable of winning the League despite the reversal in our two opening fixtures, but it has made me and the players all the more determined than ever to put things right. Obviously the opening day defeat by Hibs at Easter Road was a set back. 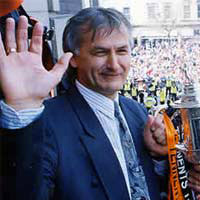 However, we went into that match minus the services of key players like Maurice Malpas, Jim Mclnally, Billy McKinlay, Christian Dailly, Grant Johnson and Andy McLaren hlowever, they are beginning to return and provide the kind of competition for places we need if we are again going to be among the honours. With three of them back at Hampden last week, we played very well against Celtic and were the better and more skilful team and created more chances. In addition, Jerren Nixon scored a magical goal and only the four minutes of stoppage time cost us a point, which was the very least we deserved from the game. Despite still missing the services of Maurice Malpas and Christian Dailly, and they'll be back shortly, I am confident that we'll pull things round quickly. With three points for a win, the six point gap which exists can soon be pegged back. The number of injuries, we have suffered couldn't have been predicted and even Rangers would have struggled as indeed they did this time last season. September is an important and busy month for us. Starting with today, three of our next four games are at home and we have Europe and Coca-Cola Cup commitments, but with the boys in determined mood and concentrating on putting those two early defeats well and truly behind them.